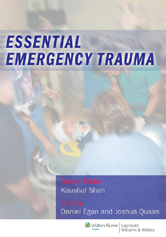 Essential Emergency Trauma is a concise, reader-friendly, and portable reference on the care of trauma patients in the emergency department. Geared to practicing emergency physicians, residents, and medical students, the book focuses sharply on the key details needed to stabilize and treat trauma patients with a wide variety of injuries. 67. Amputation Trauma - Jose Dionisio Torres, Jr.